What is the right number of devices to carry? What do you carry on duty? Your mission-critical radio. Smartphone. Mini-printer. Flashlight. Digital camera. Body worn camera. Tazer. Night-stick? Could you reduce the number of devices you carry? And how would you do it? Should you do it? Let’s take the radio and smartphone, for example. Both can handle voice calls and data, although the radio’s data capabilities are limited compared to the rich possibilities in the smartphone. Of course, your radio is mission-critical and the smartphone isn’t – but even so, the smartphone, and particularly its apps, will work most of the time. It’s good to carry both a radio and a smartphone because one can, almost, be a backup for the other. But there are drawbacks. Two devices means you have to keep them both charged and in working order. You use them separately. Two devices also weigh more than one. Information cannot move easily or securely from the radio to the smartphone and back. Two devices also means two separate earphones - where’s your third ear for listening to your customers? And what if there’s a call on both devices at the same time? Which one will you respond to first? You simply can’t prioritize two separate devices, like you can with calls on the radio. Also, how can your organization keep track of which radio and which smartphone are yours? There is a growing trend to equip police officers with body worn cameras to record video and images. Other public safety professionals, such as firefighters, rescuers, medics, can also benefit from carrying a camera. 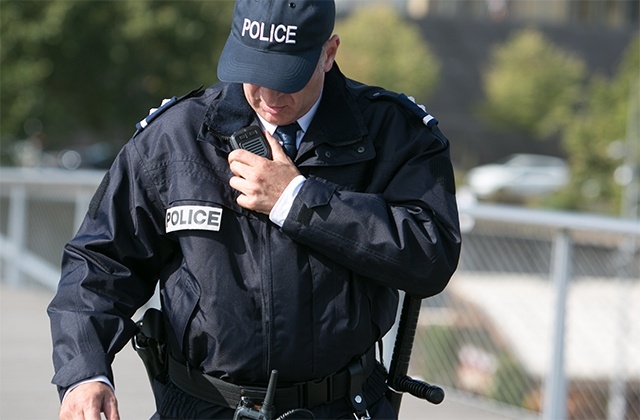 Body worn cameras are usually rather bulky and yet another piece of equipment to carry. Now you have to keep three devices charged and ready to go. To share the video or images, the camera has to connect to the smartphone somehow. A wireless connection via Wi-Fi is prone to interference in public areas. It drains the battery and it is not secure. A cable connection is secure, but it means yet another wired connection. What if all three devices beep at once? The camera beeps because its battery has run low. The smartphone beeps because of an incoming video with a clip related to a suspected robbery. The radio beeps because a high-priority call has come in with a command to take immediate cover as the robber has pulled out a gun. Amidst all these beeps, it’s easy to get distracted and focus on the wrong thing, perhaps starting to change the camera battery when you should be concentrating on the radio call. Could one device do the job of two? What if the functions of a mission-critical radio and a smartphone could be combined? PMR evolution is already moving in this direction. Given time, broadband networks and devices will support Mission-Critical Push-to-Talk (MCPTT). 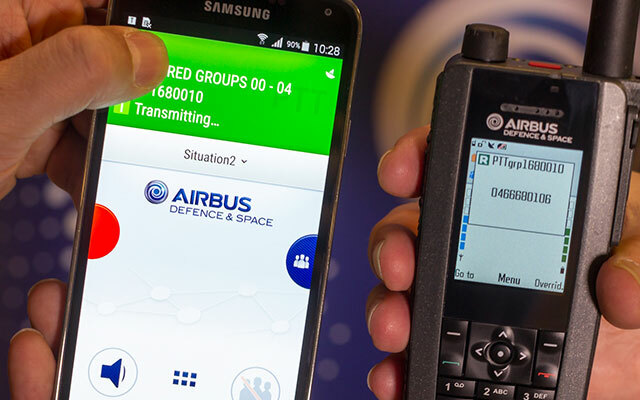 And a push-to-talk app such as the Tactilon Agnet app can bring TETRA group communications to a smart device. Carrying one device instead of two would eliminate many drawbacks and bring a new level of convenience and efficiency, not to mention lower costs. What’s more, it’s easier and more secure to make apps in one device to share information. For example, the talk groups from the PMR side would be used in an app for group texting/chatting. It would then also be possible to prioritize between two apps, whereas it is impossible to prioritize between two devices using two different networks. All this sounds great! And there’s more! Integrating the radio, smartphone and camera would open up a world of possibilities. With separate devices, you have to check from the display which call, video, or app gives the best situational information at the moment. But in the new world, different calls, tasks, and apps would be prioritized. The single device could have one app for controlling all functions – the radio in the device, the camera, maps, database queries and more. For example, a field commander on foot could first look up on the map which team is closest to the scene of the crime. Then he or she could use the app to make a TETRA call. One app could let the field commander choose an officer at the scene on the map and call up a 360-degree situational view from the officer’s camera. The commander could order the officer to stop, then remotely zoom the camera into a crowd. A facial recognition app and a Most Wanted database could identify a person of interest in the crowd. 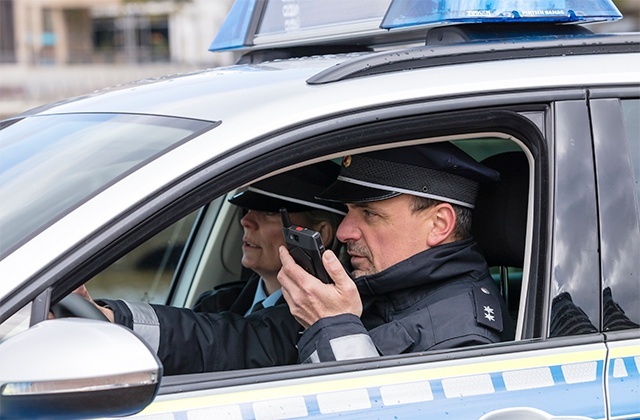 Then, a TETRA call would instantly inform the officer of the finding and give additional instructions to wait for backup to arrive. With separate devices, each of these actions would have to be done separately. Alternatively, two officers would be needed, one with the camera and one with the TETRA radio. While integrating the radio into a smartphone with a camera does open a world of possibilities, there’s one slight snag. There isn’t a smartphone model which would be comfortable in prolonged use as a radio type device. Yes, the PTT key has been implemented into the touch-screen, and some smartphones even feature a key for the purpose. But the truth is, none of them have been any good for use on a full 7-8-hour shift. The combination of standard smartphone and professional, prolonged use of PTT just does not add up. Tactilon Dabat is a solution to this problem. 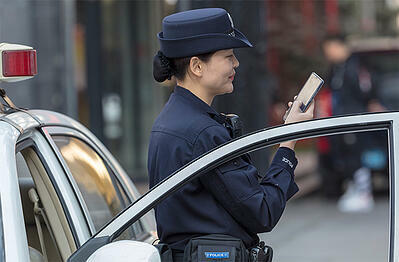 It is a rugged smartphone with a full TETRA radio inside - and it is designed for PTT use. After all, combining the three functions – phone, radio and camera – only works if the ergonomics are right. The right number of devices to carry can now be fewer than before.